For many Christians, Revelation remains a book full of confusing imagery and symbols. Throughout church history a variety of important paradigms have been derived to explain this dense book. 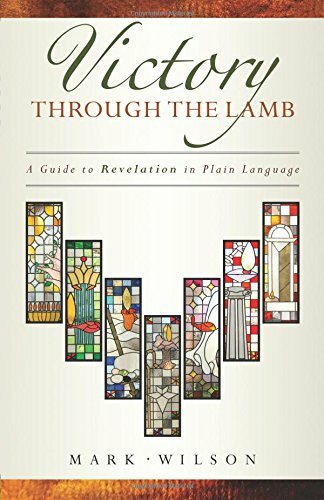 In Victory Through the Lamb: A Guide to Revelation in Plain Language (henceforth Victory) author Mark Wilson presents a formidable addition to the expanding literature. Wilson builds off the major theme of Christian victory despite suffering and martyrdom. With this in mind, Wilson starts each chapter of Victory with a historical text dealing with martyrdom. The effects are powerful and a helpful focusing agent for the reader. This theme of victory in suffering and martyrdom is realized throughout Wilson’s unique post-tribulation premillennial view. Wilson drives home the significance of Revelation to the original audience as well as its continuing application throughout church history. “Post-tribulation” speaks to Wilson’s view that the “rapture” (the joining of living Christians to Jesus Christ) will occur at the second coming of Christ at the end of the tribulation (13, 188-189). This stands in contrast to the popular Dispensational pre-tribulation made popular by books such as Left Behind. Nevertheless, Wilson does remain “premillennial” as he still sees a 1000 year reign occurring only after Jesus Christ returns at His second coming (13, 192-194). Considering Wilson’s perspective on these two issues, the majority of Victory espouses a shocking blend of preterism (Revelation being primarily fulfilled in AD 70) and idealism (Revelation speaking about the entirety of the church age). Wilson holds to a pre-70 AD writing of Revelation and holds to a preterist understanding of the Olivet Discourse (28-29). He sees the 144,000 as referring to the first Jewish converts (76). He believes the infamous 666 refers to Nero (119-123). Preterist readers will subsequently be shocked that Wilson does not directly handle the “time texts” of Revelation (1:1, 3; 22:7, 12, 20). While placing an incredible focus on the significance of Revelation to the seven churches (39, 118), Wilson sees the seven churches as also being representative of the church through history. Throughout Victory, Wilson moves between these two “audiences” on subjects such as the timing of the 42 months (90, 117) and the two witnesses (91-93). On more than one occasion this results in chronological confusion and timeline whiplash (79, 103-107, 134-135). In conclusion, Victory Through the Lamb is a fascinating blend of eschatological/hermeneutical positions rarely seen together. For individuals beginning to question their Dispensational upbringing this effort by Mark Wilson will be an immensely helpful read. Individuals holding to an Amillennial or Postmillennial view will be unsatisfied with Wilson’s treatment of the resurrections in Revelation 20 (194). Likewise, individuals sold on a full preterism hermeneutic will find Wilson’s treatment merely a first step in a great direction. Nevertheless, Victory Through the Lamb remains a vibrant and encouraging description of Christ’s ultimate victory over evil and sin. The church is properly called to endure suffering knowing that the final battle is won. Wilson has written a jarring refutation to laissez-faire and escapist (pre-tribulation) Christianity that is a welcomed voice in the eschatological discussion.